If you are a client you may have been prescribed a range of supplements during our kinesiology sessions. Below is a list of the supplement companies I typically use with details on how to order. Click on each title to expand the box and you will find ordering information and any available supplier discounts. Some supplements will need to be purchased directly from the manufacturer. If any of your supplements are from one of these companies you will need to order directly from them. Click on each title to expand the box to see ordering details and supplier discounts. There are lots of natural health suppliers online. I find the ones below to have a good selection of brands and products so it sometimes is worth comparing prices. If you are a client of mine I will provide you with a discount code for the Natural Dispensary. Click on each title to expand the box and see ordering information and supplier discounts. As a client of mine, you have access to order from the Natural Dispensary. I will give you a code during our session so you can obtain a discount on all of their products. Pestle herbs sell a wide range of dried herbs and tea’s. Below is a list of specific branded supplements which I often use with links to where you can purchase them online cheaply. This list also aims to help those on the Medical Medium protocol who are based in the UK or EU. Click on each title to expand the box. Nutrex Hawaii Md Formulas Omega Astin, 60-V-Gels Bottle – this does have cornstarch in it but since it is recommended by Anthony I am happy to go with it. Viridian EPA/DHA often tests well and is available from Natural Dispensary (see Table 2). Doctor’s Best 600 mg Alpha Lipoic Acid 60 Capsules give a good concentration and last 2 months if taking one a day. Helps the thyroid, endocrine and adrenals. Nature`s Answer Alcohol-Free Ashwagandha Root can be purchased from Bodykind, Natural Dispensary or Amazon. You can also buy the dried herb, ground up as a powder and sprinkle it onto your food. Vegansafe B12 is Anthony’s recommended product available on Amazon here. Medical Medium protocol: 40 drops (approx 3 dropperfuls) of this product is equivalent to the Vegansafe version recommended by Anthony. This version is a 50:50 mix of each form. Epigenetics sell a few different forms so make sure you ask for this particular one. When ordering you will need to give my name as your practitioner. Wild Blueberries are notoriously difficult to get hold of in the UK and are a key ingredient for healing. There are now two supplier’s to the UK market selling the lowbush Vaccinium Angustifolium variety that only grows in North America anywhere else. This is the species which Anthony William recommends as part of the healing protocol. These suppliers are: ProJuice and Bart ‘n’ Lainy. Barley Grass Juice extract chelates heavy metals from the body. Make sure you buy the JUICE powder which is much more concentrated than than just plain barley grass as this is far more concentrated. Nature`s Answer Alcohol-free Burdock Root tincture is available from Bodykind or Natural Dispensary or Amazon, whichever is cheaper. You can also buy dried burdock root and boil it up yourself as tea. It ideally needs to be boiled to draw out its medicinal qualities. Ester-C repairs damaged neurotransmitters and supports adrenal glands, and helps cleanse the liver and remove toxicity. Viridian Ester-C 950mg – 120 Veg Capsules – is good value, clean, and easy to swallow considering each tablet is nearly 1 gram, and has a vegetarian capsule. Its much better value to buy this larger bottle than the smaller ones especially if you are taking a few a day. This is the only sunflower-derived form available in the UK. All the other forms are soya-derived which is not recommended. Lipo Naturals – High Potency Liposomal Vitamin C (15oz) (the recommended one) is available on Amazon at a hiked up price. Be aware that this is only a 2 week supply which is about £4 per days dose! Best thing to do is ask friends to bring some over for you when they are there. The mother of herbs. This reduces EBV and co-factors such as Strep. Natures Answer Cat’s Claw Inner Bark (60ml Alcohol Free). It’s Also available from Natural Dispensary. You can also buy it as a herb and drink it as tea. Chaga is easy to drink as a tea, I use the dried herb and just put a spoon into these empty teabags. Choose an organic, powder ground one. Chaga Mushroom 100g (Estonian Wild crafted) is available on Amazon. You can also buy Chaga teabags from Bodykind. I mostly use Epigenetics CoQ10 capsules or CoQ10 Oil. I’ve also used Innopure Co-Enzyme Q10 Natural Source 90 Caps 100mg and Doctor’s Best High Absorption CoQ10 (100 mg). These are relatively cheap supplements, but both tested positively with Kinesiology and have a vegetarian capsule. Nature’s Answer non-alcoholic liquid extract is available from Natural Dispensary, Bodykind and Amazon. You can also buy dried herbs from Pestle herbs. Dulse binds to metals to remove them from the system and makes up part of the heavy metal protocol. Ideally you want to be using dulse (and other products) from the Atlantic not the Pacific due to pollution levels. You can obtain Dulse as a powder, dulse flakes, capsules or strips. Either eat it with your food as a topping, or take it as a supplement. Bernard Jensen – Nova Scotia Dulse 100 tablets are a good brand but they seem to have been out of stock for some time. A cheaper alternative are the Swanson Dulse Capsules but please note that these have a gelatin capsule so I would recommend emptying the capsule content into a smoothie or sprinkling over food, and discarding the gelatin capsule. Anthony’s recommended Folate (5MTHF) is from Thorne Research and this is available from Natural Dispensary. I like Metabolics Folic Acid liquid (as 5 MTF). Liquid supplements are easy for everyone to take and this one frequently tests well. If you are a client of mine we will have established the dose you need to take. Please mention my name when ordering to receive a 10% discount. If you order online you also receive free postage. Iodine supports the endocrine, thryoid, immune system and adrenals; plus kills viruses. It’s recommended that you only take it in it’s natural edible form (e.g. algaes) or as nascent iodine). Survival Shield X2 – Nascent Iodine 30ml is the product recommended by Anthony. Start with just 1 drop a day and work up very slowly. Antiviral and antibacterial. There aren’t too many alcohol free extracts available in the UK. You can either buy the US version here and pay the postage Botanic Choice Alchohol free liquid extract – USA or simply drink it as a soothing bedtime tea. Why not grow it in your garden and have a plentiful year round supply? Lowers EBV production, kills EBV in the thyroid and strengthens adrenals and kidneys. Nature’s Answer Licorice Root is ideal as it is alcohol free – at Bodykind or Natural Dispensary. You can also buy it as a dry herb and put it in your tea. Chinese supermarkets often sell big bags extremely cheaply. Antiviral and anti-inflammatory to the nervous system. Solgar L-Lysine 1000 Mg: 250 Tablets are my go-to Lysine supplement. As it’s a large tablet which means fewer to take. Many of the smaller capsules are made from gelatin which we want to avoid. Check prices at Amazon and Natural Dispensary. Anthony’s recommended product is here – Pure Encapsulations Lysine. Magnesium Threonate – Life Extension Neuro-Mag Magnesium L-Threonate (90 Veg Caps). Magnesium Citrate – Natural Calm – Superior Magnesium Powder, 8 oz. This makes a nice bedtime drink. Most herbs can be found as a non-alcoholic tincture by the brand Nature’s Answer. These are available in most health shops and there is also an extensive selection available on Natural Dispensary, Bodykind and Amazon. Cleanses the liver, lymph and spleen from EBV toxins. Take as an alcohol free extract Nature`s Answer Red Clover Flowering Tops – 30ml, or as a tea with these teabags. In summer you can go and pick them from around fields but make sure they are organic, or unsprayed fields. Antiviral that removes heavy metals and lowers viral load. This is the best one – Pure Planet Red Marine Algae Plus, 90 Capsules. I haven’t found another cheaper high quality alternative. Strengthens and protects the nervous system which can be affected by viral infections. Stimulates production of thyroid hormone T4. Metabolics Ionic Selenium 250ml (Selenium Selenate) with just water. This is sold in large plastic bottles but they will give you a glass dropper bottle to decant it into for free. This is amazing value as it is but you can save money buy buying the larger bottle Metabolics Ionic Selenium 500ml. Mention my name when ordering to receive a 10% discount. If you order online you also receive free postage. Don’t forget VAT is also added at checkout. Sovereign Silver, 8 oz. dropper top – Hydrosol is better than Colloidal Silver as it doesn’t build up in the body. There isn’t a better brand. It works out cheaper to buy the biggest bottle you can afford. Important part of removing heavy metals and for the nervous system. You can take Hawaiian Spirulina either in tablet form or powder form. Powder form is somewhat better for removing metals from the gut however it can be impossible to take it that way for some due to the taste. Zinc is an absolutely essential part of the protocol for strengthening the immune system and protecting the thyroid from damage by EBV. Some people can feel nauseous taking zinc on an empty stomach so best to take it after food if possible. Anthony’s recommended product is Eidon Zinc. Epigenetics Zinc Sulphate Liquid is an amazing alternative at a fraction of the cost and contains nothing but Zinc Sulphate and distilled water. You can also save even more money buy buying a larger quantity at once – Epigenetics Zinc Sulphate Liquid 300ml at once. Give my name as your practitioner to order and don’t forget that VAT and postage is added on top. I keep stocks of this in my clinic so pick some up at your session to avoid paying postage. I now stock hand-blended loose-leaf herbal tea’s according to the healing recipe’s published in Anthony William’s books. Each packet provides 100 grams (3.5 oz) of loose-leaf tea. 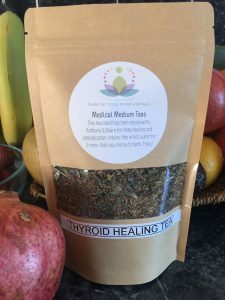 Collect your herbal blends during your session or order one for mail-order via the above eBay links. I post to Europe and can combine packaging wherever possible. If you are a client and you have been prescribed the heavy metal protocol you can will need to take the following 5 ingredients (and possibly other items as specified in your session). Personal dosages will have been identified in your kinesiology treatment. Coriander – Coriander is a key party of the protocol. Make sure you are adding a good size full handful to your food and smoothies each day. 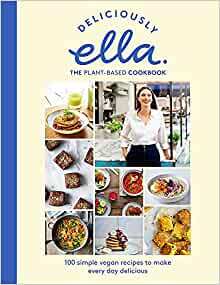 You can chop it and add it to salads, sauces, vegetables, stews and curries. You can also make pesto out of it by blending it with garlic, a little oil, some seeds and lemon. Here are some very useful items that really help when you are detoxifying and healing. 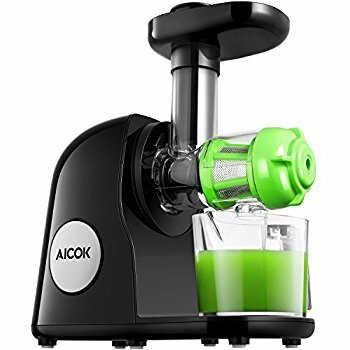 This cold press juicer from Amazon is cheap, sturdy and so easy to use and clean! Take your herbal tea’s out with you. 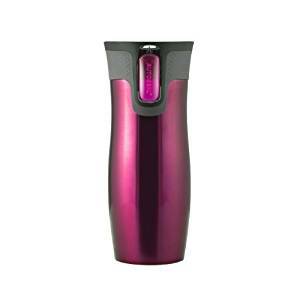 This Contigo travel flask never leaks and keeps liquids hot for hours. You can always top up your herbs with hot water for free at the coffee shops. If you need to drink your herbs when you are out of the house, you can put them in these unbleached tea bags. Most cafes only sell a small selection of herbal tea bags so its good to take your own medicinals with you. 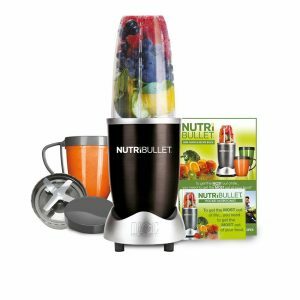 The Nutribullet is an absolute kitchen essential this is perfect for smoothies, sauces, soups and nut grinding. I use mine daily. The 600w is fast enough for all jobs I’ve ever needed. When it comes to bath time, throw 1/2 kg of Epsom Salts in for a wonderful bath soak. The Magnesium is absorbed directly through the skin and aids in relaxation and soothing. Its cheaper to buy a big bucket. Reduce the amount of chemicals you use on your clothes and linens using this ECO egg. This particular one can be used 720 times, saving you a LOT of money and reducing pollution to the environment to. I have found washes to come clean though for soiled items, say from filthy kids clothes, you may need to add a bit of detergent. I love Neal’s Yard Remedies as the ingredients are natural, organic, vegan, wild harvested and wild crafted. The products feel luxurious to use, have a positive effect on my skin and I am confident they are good for me and the environment. I am an Independent Neal’s Yard Remedies Consultant which means I can provide advice on their products which you can buy here. 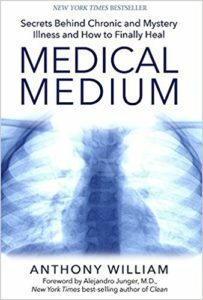 Medical Medium Healing Path – a free course by Anthony William to teach you about healing diet.